You’re going to love what the Jeep Wrangler has to offer. Its rugged exterior has made it popular for years. Whether you’re driving around town or taking it off-roading, the Jeep Wrangler can provide a perfect vehicle for you in Princeton. 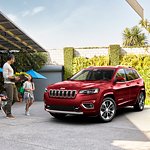 The 2019 Jeep Cherokee is turning heads with incredible exterior features that speak to its sporty capabilities yet rugged appeal. 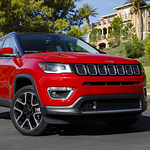 Ranked in the top compact SUVs, US News & World Report gave the Cherokee top marks for its reliability and safety. The affordability of the Cherokee is unbelievable when you consider all of the design changes and upgrades available as well. The Chrysler Pacifica has already been voted as one of the best minivans on the market today. The is partly due to its luxurious feel, which includes a rearview camera, a great sound system with easy phone hookup, and a nice size screen. Have you ever seen a car with a cover across the entire body? Car owners do this for a reason, mostly because they want to protect the paint and keep vehicles free of debris. There can be issues in certain seasons due to pollen. For example, the spring season may mean that trees pollinate, causing a gold dust film to remain over your vehicle. How Auto-Dimming Rearview Mirrors Work? The original automobile did not include a rearview mirror. However, it was not long before racers began installing rearview devices at one angle or another to see who was approaching without having to turn around and look. Eventually, the rearview mirror became an essential item required by law. Mirrors on the outside of the windows to view cars approaching from either side of the vehicle and one inside to watch directly behind are installed in all auto factories. 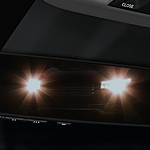 However, the glare produced from following headlights is a significant issue. 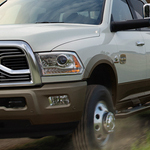 What are the Powertrain Options Offered With the Ram 2500? If you are shopping for a heavy-duty pickup truck, our team at Ramey Chrysler Dodge Jeep RAM FIAT recommends the Ram 2500. The Ram 2500 is a versatile model that offers three available engines and two available transmissions. The Ram 3500 pickup is more than capable of handling all of your heavy-duty jobs. For this reason, the truck remains popular for work and play. The latest models give you the choice of determining just how much power you need. See the differences at our Princeton showroom. 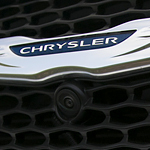 Choose between the 6.4-liter Hemi or the 6.7-liter turbocharged Cummins engine. The smaller of the pair provides up to 429 pounds of foot torque while delivering up to 410 horsepower. Are you interested in finding a vehicle that is durable more than anything else? 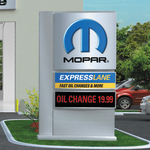 Ramey Chrysler Dodge Jeep RAM FIAT has an option for you that might be just what you need. 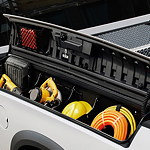 The Ram ProMaster City is a popular cargo van and passenger wagon that is constructed in a durable way.